Craig and I are cafe addicts. We are always on the hunt for a great cafe or coffee shop as Aussies call them, to just sit and chill for awhile. Kalyra is also a coffee shop addict. As soon as we get a couple of blocks from our local cafe she will yell out, “I want to go to the coffee shop.” One of her first words was Starbucks. 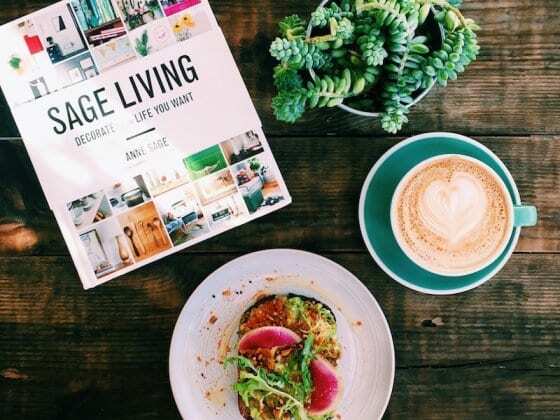 The reason we love cafes so much is that chilling in them reminds us of travel. Days spent lazing around Thai and Laos guesthouse restaurants eating delicious curries and drinking banana smoothies, watching reruns of friends or the latest pirated movies, meeting new travelling friends, and having hilarious conversations with the locals who think we are just as delightfully weird and funny. Well of course there is the swing in the hammock, the background inspiring musical tunes, and the sunset beers we love, but you knew that anyway. 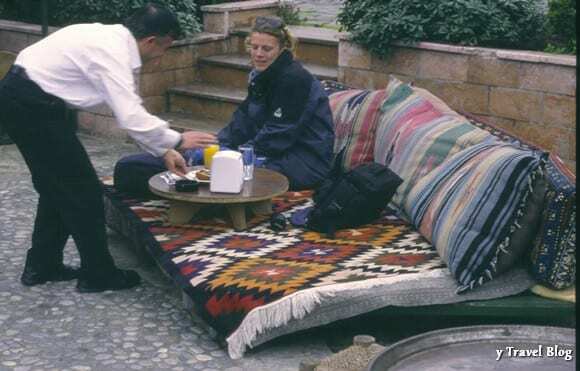 In Turkey, it was immersing yourself into the world of Turkish cushions whilst sipping on Apple Tea and watching the life of the busy streets go by. In Africa, it was lying around lakes and campsites, reading books, eating fries that took an hour to cook, and playing card games with other travellers and games of bowa with the locals. It was America that got us addicted to coffee and Starbucks. The comfy sunken couches, the eclectic jazz and funk background music, the peace to sometimes do our work, and the green grass out the front of one of our locals that Kalyra could run around with other children while we listened to live acoustic singers entertaining us for the afternoon. It was in a small coffee shop in Washington D.C for my birthday that we got to see an intimate performance by one of our favourite Australian singers Xavier Rudd. Receiving a big bear hug from him after the show as he stood with a red wine and no shoes on was one of our musical/cafe highlights. And then of course there is Australia. The place where we had one of our most amazing Starbucks/ coffee shop moment ever. Sunken in our comfy couches, sipping on green tea watching the beach goers parade in front of us, when suddenly in front of our very eyes, close to shore, whales started breaching out from the water. Can you ever top that? We haven’t been that excited by our coffee shop options since returning home to Australia. Free wireless is a ghost of the future-maybe- there are no power points and they don’t stay open beyond 5pm!!! Catastrophe. We did recently enjoy a delicious dandelion latte and turkish raison toast at the Gnostic Mana, but still the cafe was missing something. We found that something last weekend at Soul Cake Cafe. It has only been opened a month and is already getting quite popular with the locals. It has everything we ever want in a cafe experience including free high speed internet!! Every detail has been well thought out, the cute wooden deck with tables and chairs outside on pebbles and potted plants beside it. comfortable lounge chairs sit in a small sun room out the back and a lovely garden with more tables and chairs for some quiet privacy to bask in the afternoon sun. Quiet chill out music plays in the background, the food is deliciously fresh, inspired and healthy and they even make their own signature Soul Cake. Even your coffee or plate of food comes out with a laminated card that has a positive statement or thought for the day. The staff are super friendly and really happy. I always judge how good a cafe is based on the positive attitude of the staff. To me, they must be getting treated well or else they wouldn’t seem to love what they do so much. On Sunday, after we got tired of Kalyra’s demands to go to the coffee shop, we pulled up with the pram after a long beach walk. On the deck was a live acoustic performer. We later found out to be one of the owners. After he finished one of the waitresses got up and started to sing. She was incredible. We sunk into our coffees, Kalyra dug into her banana bread, and we knew we had found our cafe heaven. One cup turned into two, the blog post ideas started flowing, and we could have sat there all day, even when the rain came bucketing down. It just added to the peacefulness of the experience. Looks like we have found our cafe chilling hang out! What have been some of your best travel cafe bumming memories? 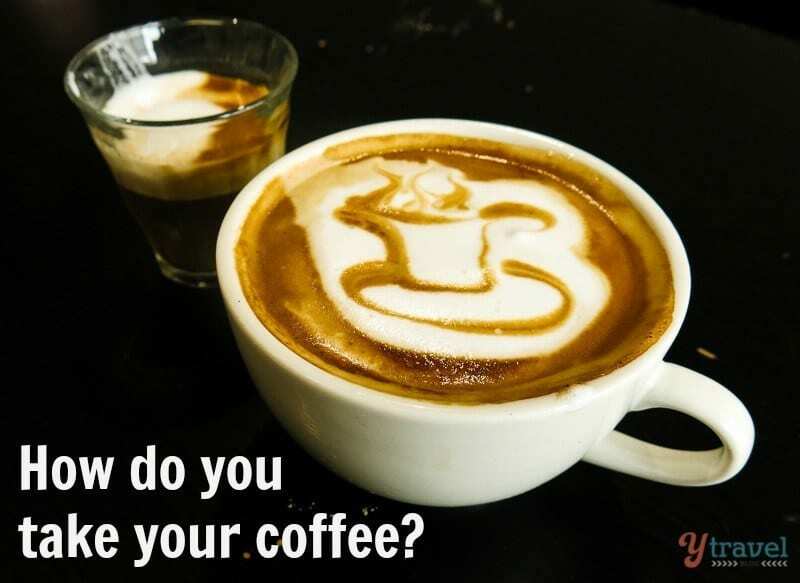 How do you take your coffee and who makes it the best? Wow, ‘Starbucks’ can be a first word!? It says a lot about our culture. We might as well baptize our kids in Coca-Cola and have an idol of Mickey Mouse sitting on the mantle. I know. Americans have a lot to answer for!! Sounds absolutely perfect! Cafés are a huge deal to me as well, I miss the café culture of the US and Australia, where as here in Italy they sip espresso at the bar and then jet on. I love lazy, entire days wasted sipping lattes and maybe studying or working. My favorite Starbucks in Seattle is one in Greenlake where you can see the people walking, jogging or playing in the grass across the street. I assume I would love any coffee shop in Oz that has a view of the beach! Nice pic of you and Xavier Rudd by the way, I showed Lorenzo and he got very excited/jealous! That Starbucks sounds like a place we could hang out. We’ll take you to Soul Cake when you come back to Oz. It was pretty cool meeting Xavier! Australia definitely needs to catch up & provide the free internet to make cafe’s the ultimate chill out place. Unfortunately, I end up in a Maccas usually – for the free internet! I know we’ve had to resort to Maccas a few times. The speed is so slow there thought. IT is a desperate situation Down Under. Thank goodness for Soul Cake! My wife and I are also huge cafe people. Our favorite cafe city in the world is Budapest. Most cafes are also restaurants with great food at reasonable prices. There are other good capital cities in the world, but the prices are often triple. Budapest is starting to get all the chain stores, which are expensive and have boring food choices, but if you stick to the one off Hungarian cafes, you can’t go wrong. Love this! I miss the hanging around part of traveling so much, it was always interesting just to sit in a cafe on the road. You never know who you’ll meet and there is glorious pleasure in just being. As my sister in a law said, time you enjoy wasting is not wasted time! Glad you guys found a good place near by to get some of that lounging mojo back! I love that quote from your sister! I think if you are just being and enjoying the moment then it is time you are making full value of. That is why it is so addictive. Maybe it is not the coffee after all. We didn’t drink coffee when we went to Turkey so I never tried a Turkish coffee. All the more reason to go back now. Flat whites are the best! I had one for the first time when I visited London last year. When I came back to Ohio, I explained the concept to my local coffee shop, and they nailed it! That is great that you introduced the flat white to Ohio. I really missed them in the States, and would have to order mochas instead. I didn’t realize that had them in London. 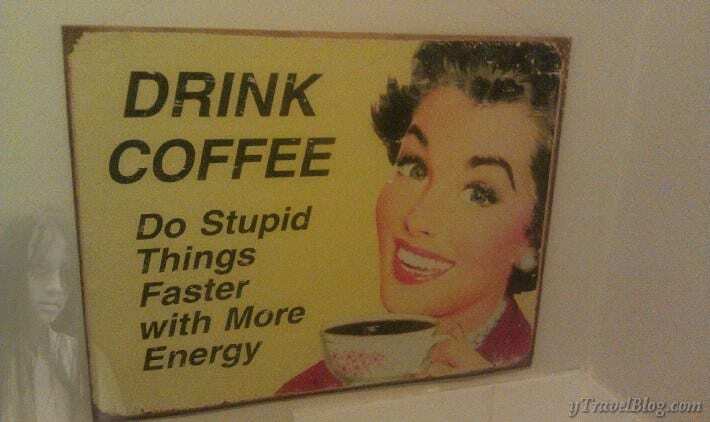 I thought it was just an Aussie thing, but I didn’t drink coffee when I lived in London so I probably wouldn’t know. Ahem….yes, America has to accept the blame for there being a starbucks on every city corner. It’s almost an epidemic, but I’m afraid it won’t change anytime soon. ;-D I’m definitely putting Soul Cake Cafe on my radar…sounds like a great spot to hang out and free high speed internet? Heaven! I’d rathar Starbucks than Maccas on every corner! Would love to have you sit with us at Soul Cake Renee! It is our little spot of heaven right now. I totally get this! Love sitting in cafes while traveling — watching the locals go about their day and feeling so lucky to be wherever I am. I also enjoy coffee and pastries very much! Cool name — Soul Cake Cafe. i hope we can meet up one day for a coffee in a cool cafe Cathy! Maybe you’ll have to come to Soul Cake Cafe! Kalyra had her first baby cino today. Look out! Everywhere I travel, I can’t escape going to a cafe. It gives you the coolest insight into the local culture; the only problem is I too-often end up discovering pastries to which I become addicted and can’t get easily back home. I know,our waistlines have expanded slightly since enjoying cafes. It is far too tempting, and they just go so well with coffee. I think we could be in serious trouble when we visit France.